I wanted to take photos after work today. My original plan was to use 30-45 minutes after work to walk up Yonge and snap photos. I found little that was inspiring. On the way home, I was lamenting to my "Companion" that I had taken zero photos for the project today because I felt no inspiration around me. He suggested that I attempt a project that a photog friend of his tried: lock yourself in your bathroom with your camera and then create a small portfolio of photos derived from your bathroom. Crappiest project ever! 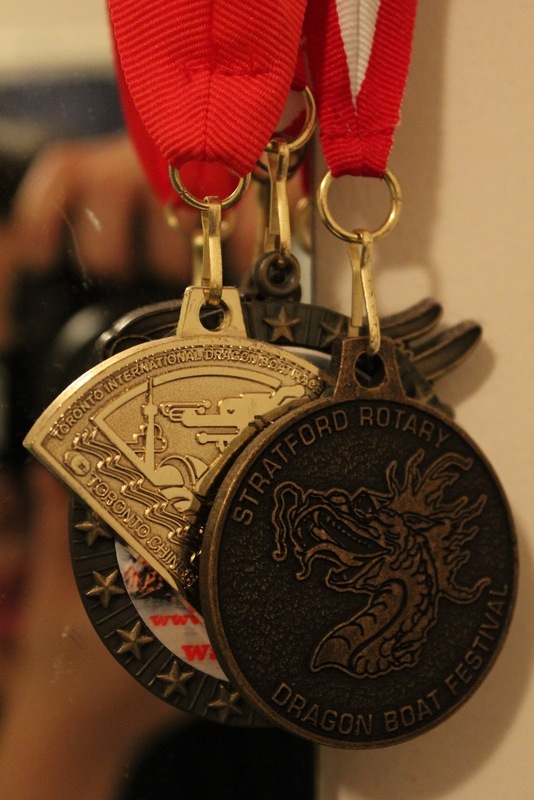 I spent 30 minutes and the only things that really inspired me were the medals from my dragon boat festivals. And my denture tablets which made an interesting macro-shot. Yes, I have denture tablets in my bathroom.